Christian author, researcher and pastor Ed Stetzer set out in a recent Christianity Today piece to dismantle some of the Bible “prophecy” claims that have been percolating in media of late surrounding Sept. 23. For a quick recap: Some believe that events on Sept. 23 will be prophetic in nature, with theories ranging from the claim that the skies will point to a coming “rapture” to the fear that something cataclysmic could unfold that day — or in the days following. This book is a compendium of information from every sphere—astronomical, scientific, the Book of Revelation and geopolitics. It contains absolutely amazing revelations that direct us to one precise point in time in 2017. Planet X is a cryptogram and this book contains the keys necessary to decode it. When everything is considered together, it fits together perfectly like a watch. The existence of Planet X is beyond any reasonable doubt, to a moral certainty. We examine proofs of its existence. … I have seen Planet X on the Wide-field Infrared Survey Explorer (WISE) through WorldWide Telescope. This is a NASA infrared-wavelength astronomical space telescope, launched in December 2009. It is currently in the constellation Pisces, and is clearly marked as an Unidentified Object (but quite plainly visible dark red star) known as IC 5385. Reactions to Meade’s claims haven’t been too favorable, with Metro among other outlets calling people who push the narrative “internet YouTube weirdoes.” Stetzer, too, didn’t have much patience for some of the resulting theories surrounding Sept. 23. Natural disasters and a doomsday prediction have people feverishly Googling September 23. Share your comments below. It seems Meade and others see Sept. 23 not as the official “end,” but as a day that holds signs of what’s to come. It’s all pretty convoluted, but that’s the general sense after exploring claims surrounding the day. First, Stetzer said there’s no such thing as Christian numerology and he encouraged Christians to speak out when people make such claims. He also cited Matthew 24:36 to note that the Bible makes it clear that no one knows the day nor hour when Jesus will return. It’s simply fake news that a lot of Christians believe the world will end on September 23. Yet, it is still a reminder that we need to think critically about all news. We can’t just believe everything we hear the media shouting in our ears; instead, we must think both carefully and critically about what we read at news sites, watch on the news, and hear our peers discussing. We need to consider our sources and, when situations like this arise, be careful to seek out answers from people who actually know what they’re talking about. As Faithwire previously reported, there are some other celestial happenings that appear to be driving interest in Sept. 23. 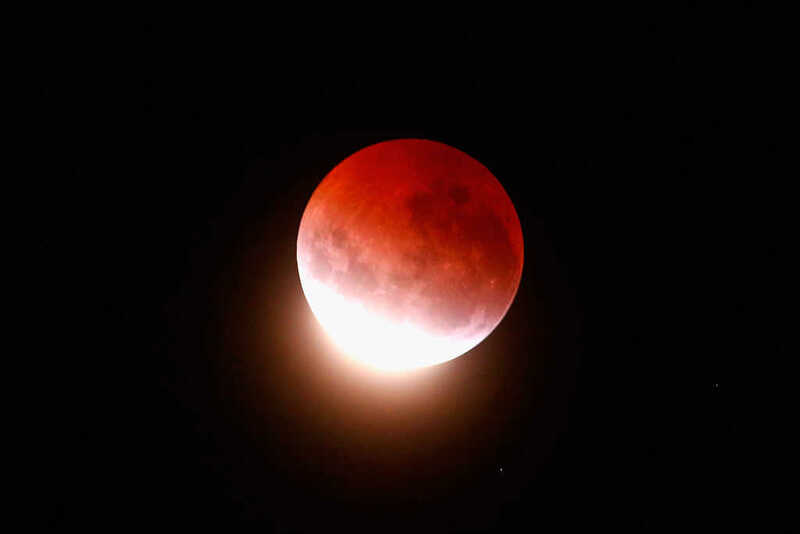 Gary Ray, a writer for Unsealed, a Christian publication, told The Washington Post his take on the matter, noting that he sees the alignment of the stars, sun and moon on Sept. 23 as one of the signs that the rapture — the belief that Jesus will take Christians up into the skies before the terrors of the end times kick into high gear — is coming. Ray said that the recent Great American Eclipse on Aug. 21 was potentially a prophetic sign as well (we covered this extensively), but it’s the cosmic event on Sept. 23 that is now getting a great deal of attention just days before it unfolds. “We think it’s God signaling to us that he’s about to make his next move,” Ray said. So, what exactly will be happening on that day? While much of the speculation can’t be substantiated, there are some facts that can be plainly detailed and discussed, scientifically speaking. A great sign appeared in heaven: a woman clothed with the sun, with the moon under her feet and a crown of twelve stars on her head. She was pregnant and cried out in pain as she was about to give birth. Then another sign appeared in heaven: an enormous red dragon with seven heads and ten horns and seven crowns on its heads. Its tail swept a third of the stars out of the sky and flung them to the earth. With all of this in mind, the central claim is that the alignment of the constellations, sun and moon will somehow be a celestial representation of what’s described in Revelation 12. Ray sees the 2017 eclipse and the next in 2024 as the potential start and end caps for the seven-year, end-times tribulation period that many believe is detailed in the Bible. You can read more about all that here, but it’s important to note that the alignment of the stars, moon and sun isn’t as rare as some are claiming, thus that raises some important questions about whether the alignment is really all that prophetic in nature.